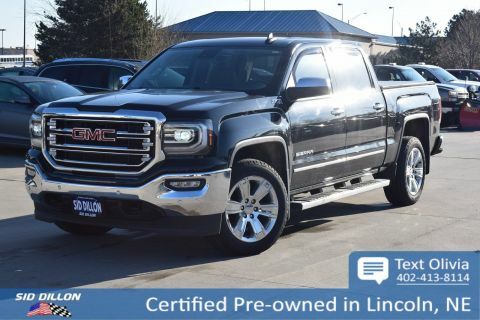 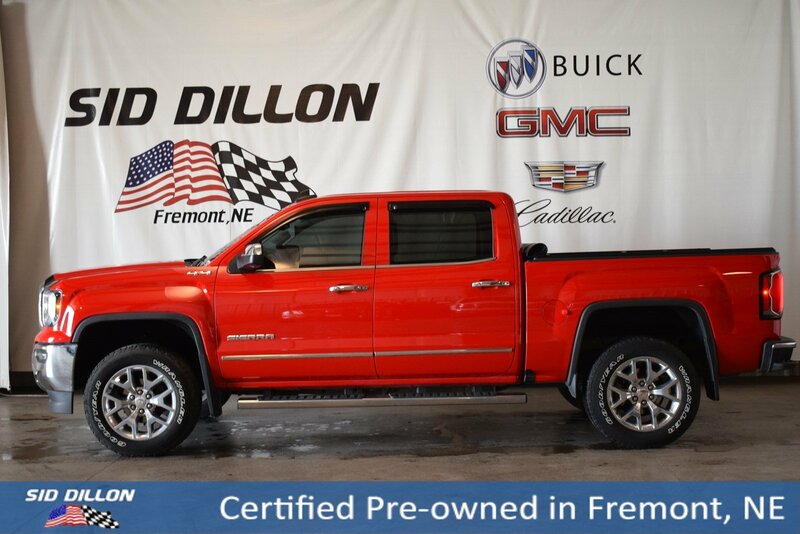 Come see this 2017 GMC Sierra 1500 SLT before someone takes it home! 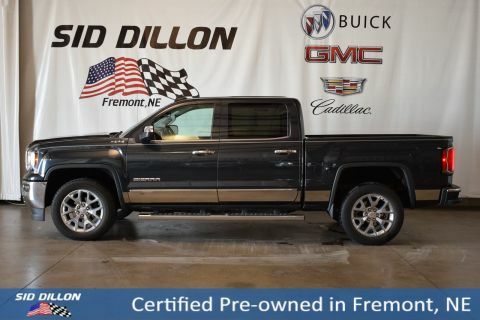 SLT CREW CAB PREMIUM PLUS PACKAGE Includes (NZP) 20 chrome clad wheels, (QSS) P275/55R20 all-season, blackwall tires, (UD5) Front and Rear Park Assist, (UVD) heated steering wheel, (A48) power sliding rear window, (BVQ) 6 rectangular chrome tubular assist steps, (UQA) Bose premium audio system, (IO6) IntelliLink 8 Diagonal Color Touch audio system with Navigation, (JL1) trailer brake controller, (Y86) Enhanced Driver Alert Package, (AN3) front bucket seats, (KQV) heated and vented seating, (CGN) spray-on bed liner and (T4L) full LED headlamps., MAX TRAILERING PACKAGE includes 9.76 rear axle, 8-speed transmission with 3.42 or 6- speed transmission with 3.73, (JL1) trailer brake controller, enhanced cooling radiator, revised shock tuning for increased control, heavier duty rear springs and increased RGAWR, ENHANCED DRIVER ALERT PACKAGE includes (UHX) Lane Keep Assist, (TQ5) IntelliBeam headlamps, (UHY) Low Speed Collision Mitigation Braking, (UD5) Front and Rear Park Assist and (UEU) Forward Collision Alert, Safety Alert Seat , WIRELESS CHARGING, WINDOW, POWER, REAR SLIDING WITH REAR DEFOGGER, WHEELS, 20 X 9 (50.8 CM X 22.9 CM) POLISHED ALUMINUM, TRANSMISSION, 8-SPEED AUTOMATIC, ELECTRONICALLY CONTROLLED with overdrive and tow/haul mode. 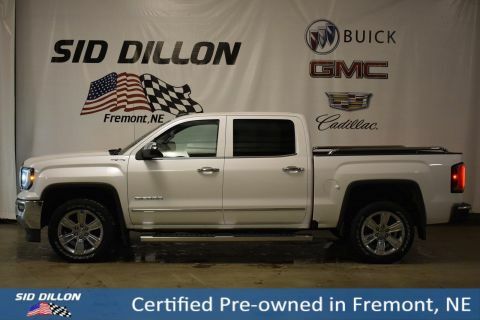 Includes Cruise Grade Braking and Powertrain Grade Braking, TRAILER BRAKE CONTROLLER, INTEGRATED, TIRES, P275/55R20 ALL-SEASON, BLACKWALL, STEERING WHEEL, HEATED, LEATHER WRAPPED with audio and cruise controls.